ALCUE NET has contributed to enhance the cooperation between both regions. The fact that involves the regions of Latin America, the Caribbean and the European Union, turns the project into an important catalyst for a number of countries. Its bi-regional consortium has been working to increase and coordinate this cooperation by encouraging and facilitating the participation of the R&I community from both regions and by helping to overcome potential barriers and national/regional limitations for the success of such collaboration. The project has also been executed and planned as an important support mechanism to the EU-CELAC policy dialogue on R&I. On this regards, most of the activities performed during the execution of the project have been focused on the decisions of the EU-CELAC Senior Officials Meetings held since 2012 and on providing relevant input and recommendations to the subsequent SOM held among 2013-2017. Thus, main inputs for the SOM and Thematic Working Groups have arisen from the efforts implemented under the ALCUE NET project. Creation and reinforcement of strategic synergies with new initiatives and related bi-regional projects as well as with the European Commission Directorates. A number of activities were organized jointly with world known initiatives such as: ERANet-LAC, EU-LAC Health, CORDEX-LAC, CEPAL, CYTED, EUROCLIMA, ENSOCIO LA, BIODiversa, BELMONT FORUM, GACD, EEN, ELAN2, INCONTACT 2020, RedCLARA, Latin America Liaison Offices with the EU (Argentina, Brazil, Chile, Mexico), etc. ALCUE NET thematic actions were especially benefit from the links and synergies created with all these initiatives (in which most of project partners actively participate) and newcomer countries from both regions. Implementation of a Technical Secretariat as a supporting mechanism for SOM coordination by contributing to the preparation of discussion documents and supporting material (agendas, Senior Officials participant list, concept notes discussion, action plans, etc). 5 EU-CELAC SOM Concept Note were elaborated by ALCUE NET. Institution of Bi regional thematic platforms (community of stakeholders) that mobilized more than 2000 players from Research and Innovation (R&I) as well as other stakeholders from the public and private sector.Organization of back-to-back meetings jointly with the SOM WGs and other related initiatives and projects to improve the use of available funds and tools. In this regard, some of the meetings have been coordinated by videoconference through RedCLARA. Organization of back-to-back meetings jointly with the SOM WGs and other related initiatives and projects to improve the use of available funds and tools. In this regard, some of the meetings have been coordinated by videoconference through RedCLARA. Coordination of the official nomination of Working Groups country representatives as member of each Working Group by the EU-CELAC Senior Officials. Set up specific actions to identify common thematic priorities on selected areas as input for the implementation of Joint Calls and H2020 consideration. More than 45 priority research topics were identified among the four thematic areas. Preparation of the Thematic Reports jointly with the thematic SOM working groups to present relevant proposals and recommendations to be reported to the SOM. 28 thematic report s elaborated in total. Build up and expand the LAC National Contact Points Network in order to help building national information systems. Support the nomination of representatives in countries without NCP structure to expand the NCP network in LAC. Senior Officials from 18 LAC countries have already signed a Letter of Interest which aims at achieving sustainability and continuous strengthening for the LAC NCP Network. Reinforcement of the trainings and extension of the LAC NCP Network through the organization of NCP annual workshops, technical assistance and awareness raising and dissemination activities: Organization of 9 video conferences with the participation of 808 stakeholders from LAC countries and 20 Training Workshops in 15 LAC countries with the participation of 1744 stakeholders from the region. Improvement of LAC participation in the Horizon 2020 and other related programmes. Promotion of consortium building by increasing collaboration between European and LAC researchers. Development of a mapping of current and past bilateral and bi-regional thematic projects, institutions and researchers, to monitor progress in the bi-regional cooperation. Elaboration of a foresight study (“Scenario-VISION 2030”) to develop a vision and scenarios for bi-regional cooperation towards 2030 as a strategic vision necessary to strengthen and deepen the bi regional cooperation and as a key input to the SOM in its decision making process. This exercise was commissioned by Senior Officials. Development and collection of impact stories and case studies to promote outcomes and impact of the project (e.g. through interviews conducted at the SOM). Formulation of a Bi regional co-publication analysis as background paper for Senior Officials consideration. Set up a website as a support mechanism for EU-CELAC dialogue focusing in each thematic area covered, NCP platform, networks and HORIZON 2020 programme promotion. Establishment of an External Review Panel (8 experts in the 4 thematic areas). Dissemination of knowledge about the project on partner countries and events organized by other initiatives. The impact of the project so far is to have contributed to the STI policy dialogue between both regions. 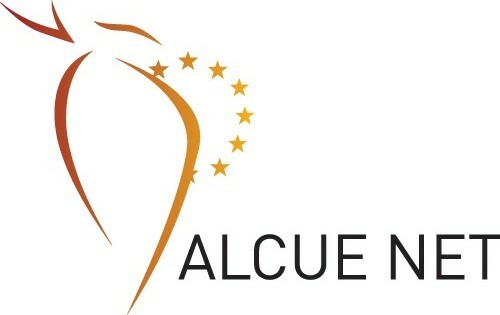 ALCUE NET has also created a community of R&D stakeholders who now participate actively on project activities and the elaboration of related documents. The impact to the international social and economic challenges so far could be expressed through the capacity of the project to be not only an intermediary in STI policy dialogue between both regions but also to broadly expand international cooperation opportunities in H2020 and other EU Programs. It is also important to mention that the project acted as a centralized mechanism to further disseminate and identify organizations and key actors interested in developing joint new projects and initiatives. The effort results undertaken by the ALCUE NET project consortium and the support given to other EU-funded projects and related initiatives and to the SOM and JIRI Working Groups, reinforced the Policy Dialogue process towards the Common Research Area.